If you are using RSView32 for making a SCADA Application then you can start with a simple to understand Application. 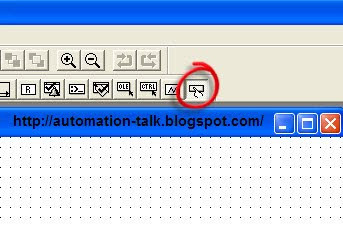 We assume that you have read Basic of PLC and How to Make a File in RSView32. If you know all this than it is very easy to make a simple application in RSView32 . Now you will have to follow the below steps to make a new Application. Subscribe to Automation-Talk by Email. to get more Tutorials. 1.Create a New File . 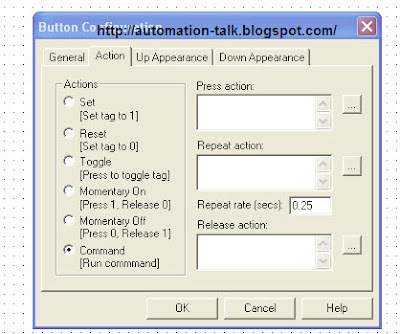 3.Now Fill the required Information in Button Configuration like Tag name , Button Type etc. 4. Now take a circle from the object bar and right click on it and you will see many option. But for now i am just want to use color fill property. 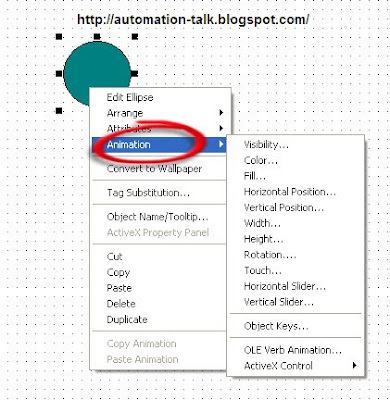 So Just go to Animation and click on color and put the tag name of the button which you have taken. 5. Now run this simple application . And when you press the button you will see the circle changing color. The above picture shows the result of the application. Subscribe to Automation-Talk by Email. to get more Tutorials.